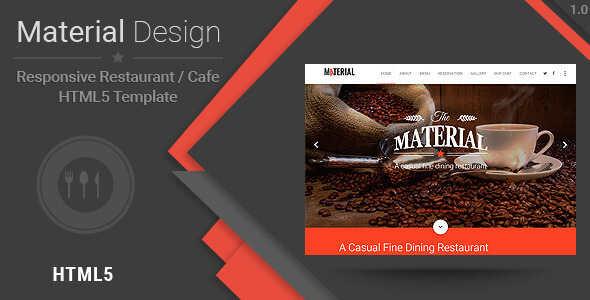 Website’s landing page is about conversion-focused design. It can help to generate more leads and guide a visitor towards a “call to action”, such as app download or purchase of the product. Skillfully constructed website’s landing page can make a huge difference between a user purchasing into a product or completely losing interest. Landing page design should be focused on one primary goal such as convince the consumer to register their details, download the app, sign up for a new release or make a purchase there and then. Landing page design needs to be presented in a way, that it’s easy to navigate, hence visitors could instantly find demanded product or information about it. Website’s landing page is distinctly branded by adding large ‘hero’ header image to communicate the product or service at a glance, and cut straight to the point to avoid visitors’ attention drifting. Whatever the goal is, the design of the landing page should channel the visitor towards it – whether through use of bold, primary and accent Material Design colors, slick animations, unique layout and grids or more explicit directional cues. 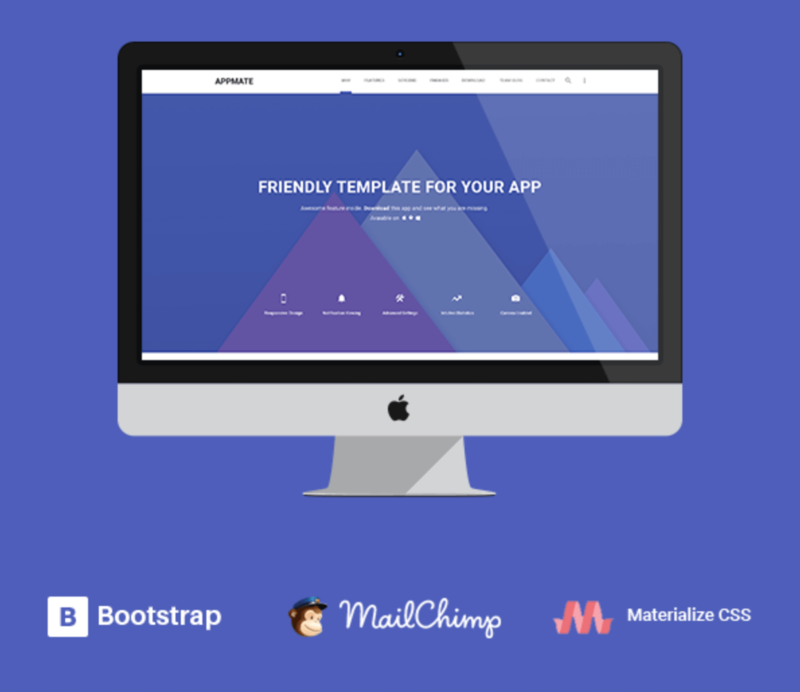 With all of that in mind, we’ve selected five particularly compelling Material Design landing page templates for your app, product or service to show how this design theory has been applied in practice. 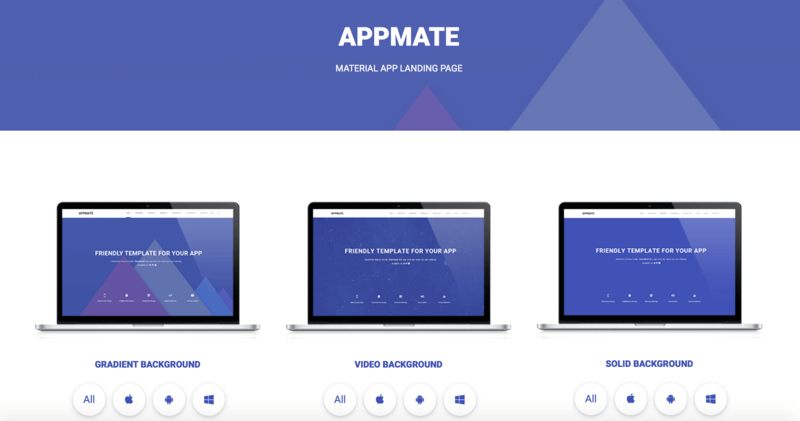 Appmate is a minimal and clean App Landing Template based on Material Design. 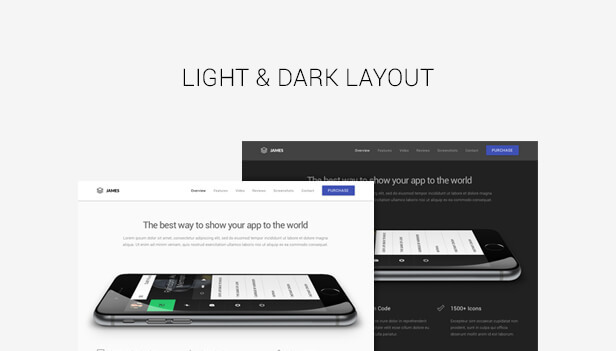 Showcase your Android, iOS or Windows app in a beautiful way. 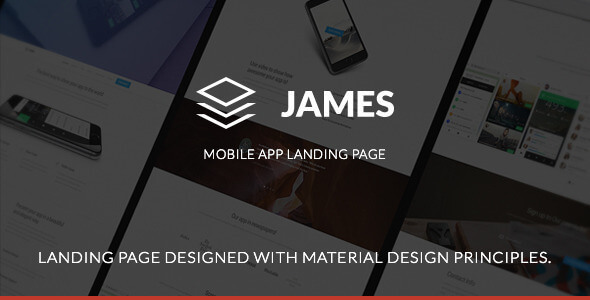 Well-crafted Material Design landing page to showcase your app, product or service. 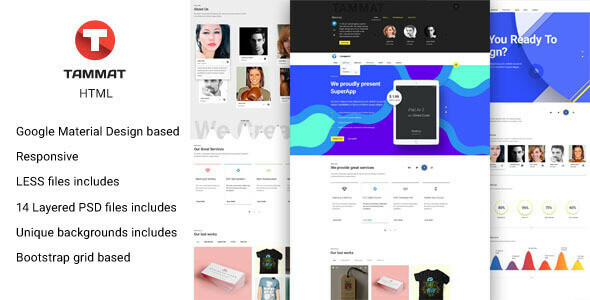 Responsive Material Design HTML template suitable for app, product or service presentation as well as agencies, personal websites, blogs or portfolio sites. 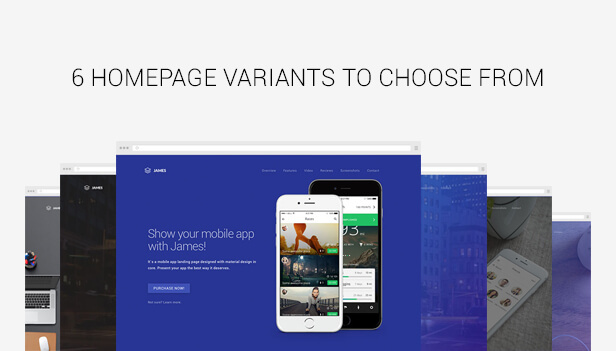 Modern, simple and elegant Material Design HTML template. Primarily designed for catering businesses,but could be easily extended to any type of product, app or service presentations. 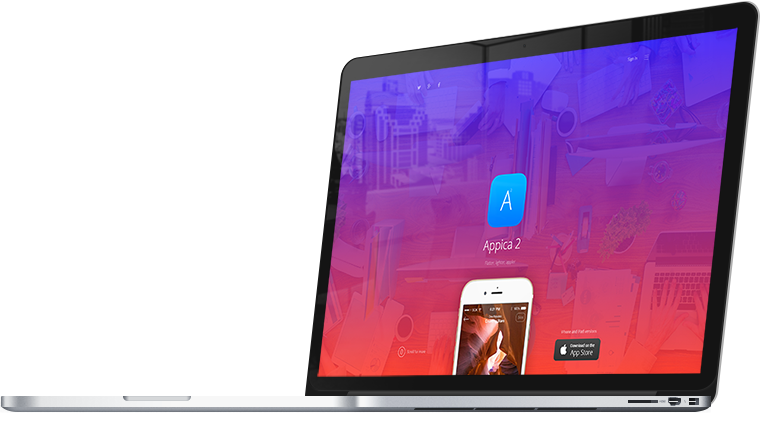 Appica is one of the best landing page themes to present iOS or Android app. 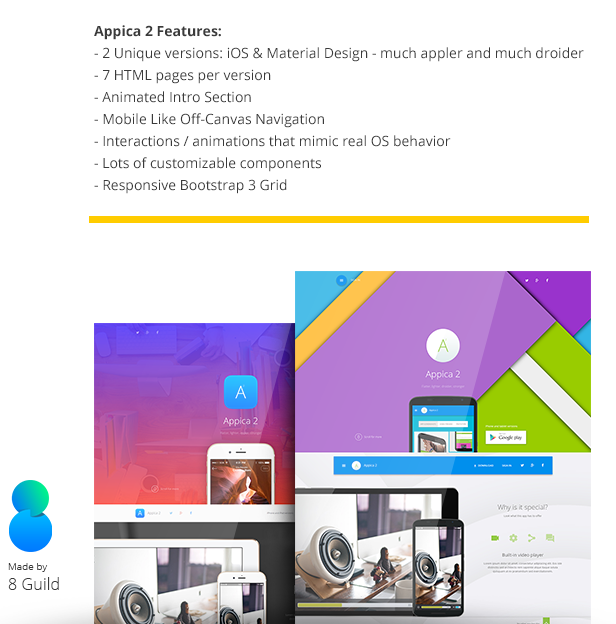 Slick animations, off-canvas menu and 7 different layout HTML pages makes it suitable for any app presentation.